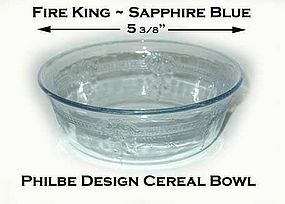 These Fire King Philbe cereal bowls are getting very hard to find, and this one is mint! It is 5 3/8" wide and has a strong pattern on it. The bottom is signed Fire King Oven Glass.